Wedding days are amazing - filled full of tears, laughter, joy and lots of fun with friends and family. It truly sends you on an emotional roller coaster and we get to witness and capture that almost weekly. We go right through it with you all, and for us it's awesome. Every wedding different, and every time a different set of feelings! Because it is SO intense and the adrenaline is pumping, it’s super hard for the couple to be totally present in the moment all day and enjoy every minute. That's why it is so amazing that we help put the pieces back together for you afterwards! Honestly though, I have never seen two people do it better than Lindsey and Matt. Wow! They literally smiled the whole time. Like, beamed from ear to ear. They were so happy, and just got lost in the magic of the day together. It was perfect. 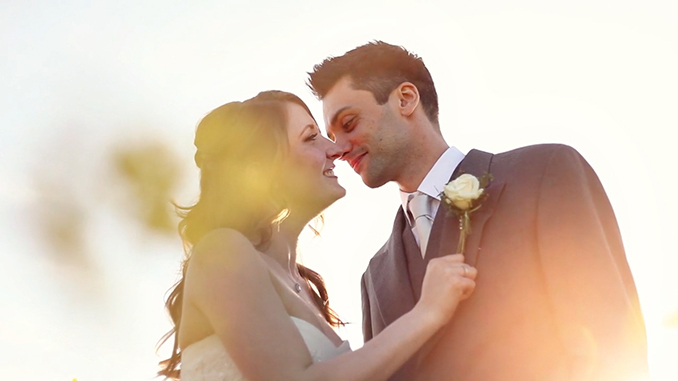 Here is Matt and Lindsey’s full wedding film. Outstanding! What more can I say - it's a beautiful piece of work!